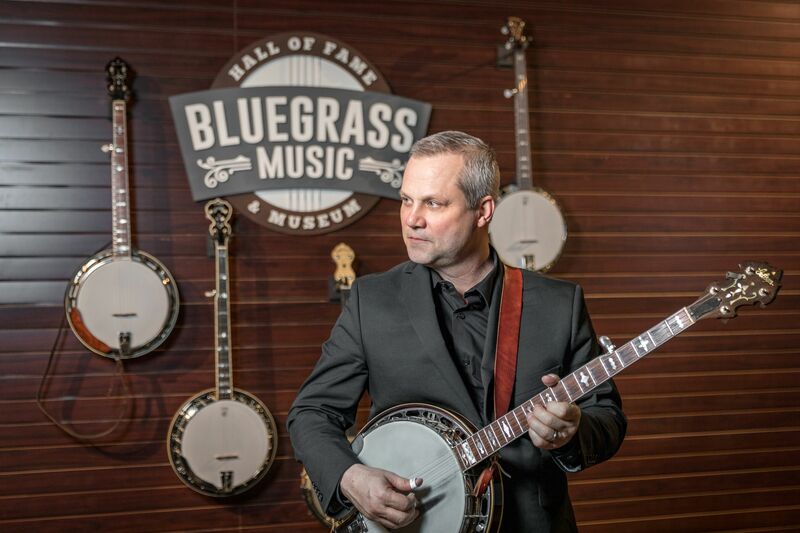 For alumnus Chris Joslin, his Belmont experience helped him merge his love of bluegrass with a savvy business mind to become the executive director for the Bluegrass Music Hall of Fame & Museum in Owensboro, Kentucky. Joslin graduated from Belmont in 1988 with a Bachelor’s in Business Administration in marketing and earned an MBA in 1991. Along with being a professional musician, Joslin developed a career in the corporate realm primarily in executive search, always hoping his career paths would merge. The museum was originally established in 1991, but the opportunity to expand emerged a few years ago when the city of Owensboro, Kentucky approached the Hall of Fame about designing a new, expanded facility in the heart of the city. The rest is history, as Joslin proved a perfect fit and became the executive director at the Bluegrass Music Hall of Fame & Museum in 2015. It’s a perfect pairing of his business acumen with his musical passion. For Joslin, the Hall of Fame is all about preservation, education and performance art with live music energizing all of its functions. The Hall of Fame features exhibits highlighting the culture and history of bluegrass music, concert events in the Woodward Theatre and outdoor stage, the four-day outdoor ROMP Fest which attracts nearly 30,000 people each year, the Bluegrass in Schools program, Saturday Lesson programs, music camps and educational tours for both students and adult learners. The Hall of Fame’s new stand-alone building opened in downtown Owensboro in October 2018, providing the ability to incorporate the latest in multi-camera TV production with the venue’s live performance space.